Take points A, B, C, D, and E and construct their LSRL. Next, switch the x- and y-coordinates of these points A'. B', C'. D', and E'. This is equivalent to reflecting these points over the line y = x. Construct the LSRL of these reflected points. 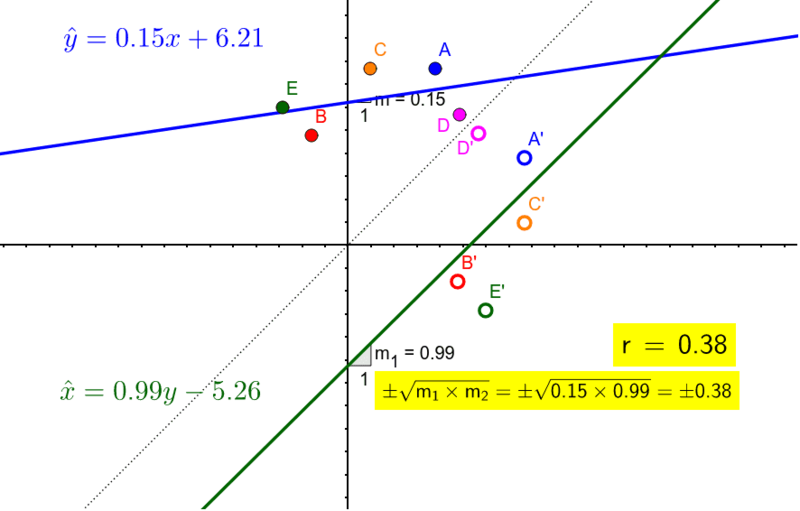 The correlation of both sets of points are the same, and it is the geometric mean of the slopes of the two LSRL.